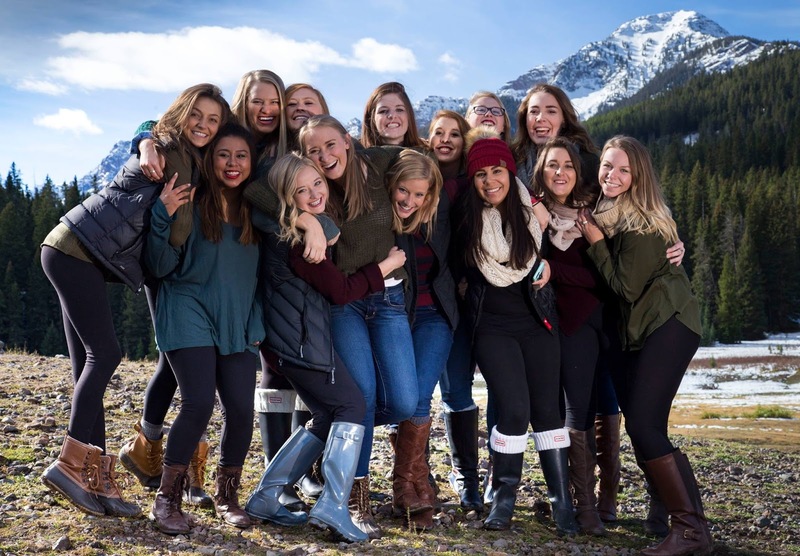 The goal of the Montana State University Panhellenic Council is to create a campus environment where membership is a reward to those who seek it. Through fostering both personal and professional growth, the women of MSU leave the sorority community with the skills to be successful in the modern world. 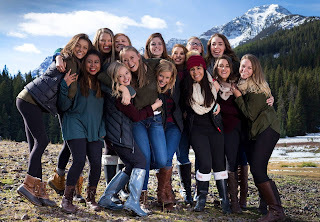 To encourage close friendship and connection, the Panhellenic implemented a “sister sorority” program through which chapters plan sisterhood events with each other on a monthly rotation. Another way MSU has increased cohesion across its community is through the adoption of a Panhellenic philanthropy, Circle of Sisterhood. It is obvious that a key reason most women join a sorority is not only for the sisterhood, but also for the community service aspect. By adopting a Panhellenic philanthropy, the community is connected through a basic tenet which is present in the ritual and purpose of each chapter. Connecting the traits of individual chapters to the community at large is successful in achieving a profound sense of unity for MSU. No time is more divisive to this unity than recruitment. To help mitigate the feeling of competition characteristic of this time, the Panhellenic Council helps facilitate house tours between the different chapters during spirit week. This tactic not only makes each chapter better recruiters by providing more practice, but it also eliminates the questions and curiosity about how other chapters are recruiting members. Suddenly the mystique surrounding recruitment dissipates and transparency is intact. A factor unique to MSU’s primary recruitment is the affiliation policy. By allowing members serving on the Panhellenic Council to retain affiliation with their chapters, both the potential new members (PNMs) and the active members feel an increased sense of trust regarding Panhellenic officers. Recruitment counselors are able to demonstrate to PNMs and their own chapters that a difference of letters is not a barrier among any woman in the community. 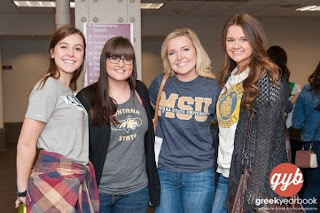 At Montana State University the motto is “we as sorority women are always wearing our letters,” even during primary recruitment. Lastly, Panhellenic meetings are held at the chapter facilities as opportunities to provide women with skills and information they would not otherwise have access to. To accomplish this goal, presenters from the community as well as professionals from the university are invited to share their knowledge with the sorority population. Over the past year speakers covered a range of topics including: resumé critiques, positive body image and health, sexual assault and violence, career fair opportunities, study abroad presentations and community service opportunities. Overall, the Panhellenic community is built on tenements of sisterhood, scholarship and professionalism created through the implementation of Panhellenic programs. When my youngest daughter was in grade school, a group of mothers came together to discuss the voracious nature of our daughters’ reading, and how we could best support their love of books. A monthly mother-daughter book club formed, ushering the girls from primary school through junior high. It continues today for the same moms. Our daughters have long since graduated from college, and some have formed reading groups of their own! Women of all ages benefit from coming together to read classics, best sellers, personal development, fiction and non-fiction. There is nothing like a good read, and the opportunity to share opinion, new insights and "ah-hah" moments with other women. When reflecting on the early years of my mother-daughter book club experience, and how impactful a book can be, I am reminded of one of the early books we read: “Who Moved My Cheese” by Dr. Spencer Johnson. Books dedicated to personal and professional development, growth, change and well-being fill the shelves in libraries, bookstores and online. From the early formation years of the 26 NPC member sororities, women have gathered to read and study together. So, during February in honor of the Month of the Scholar, form a reading group or book club in your office, your association, with friends or as a college chapter monthly sisterhood event and feel the power of women sharing and learning from each other.